If you are looking for the newest toys for yourself or for your kids, come to one of the toy stores in MA. These stores have everything you are looking for. From toys for girls like dolls and stuffed animals to toys for boys like trucks and dinosaurs, you will find them here. Give your kids a special present from one of these toy stores in Massachusetts! 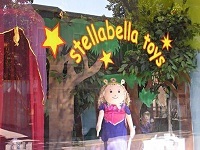 Stellabella Toys has many exceptional toys for kids in collection. This store offers a lot of toys in various sections like Action & Vehicles, Arts & Creative Activities, Construction Toys, Dolls & Dollhouses, First Toys, Toddler/Preschool Fun, Pretend Play, Puppets & Soft Toys, Science & Nature and many more. To get the most excellent toys, please visit this shop. The store hours are Monday-Saturday from 10:00am-6:00pm and Sunday from 10:00am-5:00pm. 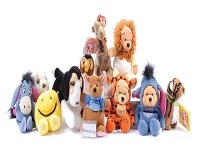 You can also order any toys through the company website. Jerry's Toy Store is one of the top toy stores in MA providing the latest and greatest in puzzles, games and educational toys. 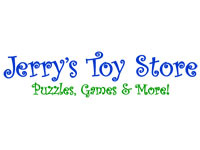 Jerry's Toy Store is offering something fun for everyone through their exclusive toys like puzzles, toys and games for all ages from educational and creative toy manufacturers such as Ravensberger, Alex, Playvisions and Educational Insights. Many toy items are available for all to play with at Jerry's Toy Store. So make a visit as soon as possible to try it out. 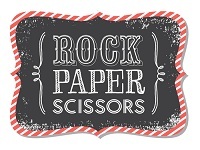 Rock Paper Scissors is a toy store located in Duxbury, MA. It was established by two moms that are well committed to provide high quality as well as unique toys that promote kids to think and learn. They collect unique toys from all over the world, especially from the European countries and family based toy businesses in the United States. It provides a unique scope to learn about fun for both the kids and parents. If you don't visiting them you cannot realize how they create fun and funny toys for kids. 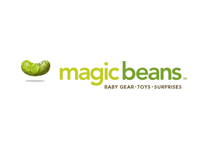 Magic Beans is one of the most famous toy stores in Boston. It was established in 2004 by husband and wife team Eli and Sheri Gurock. It offers a lot of exclusive toy items for all ages. This store believes that good toys come in all shapes, sizes and materials. They always try to inspire the creative interactions of kids through toys. Baby gear and modern nursery furniture are also sold in this store. It has a total of four shops in Boston, Brookline, Wellesley and Cambridge. Make a visit to one of these shops to get exceptional toys for your kids. Toys Plus is the best quality toy store in the Chestnut Hill area. It has a large collection of the latest toys and also provides a unique opportunity for the kids to play with the toys. Thus the kids get a scope to choose the toys after playing with them. It offers electronic toys besides classical toys for all kids from 3 months to 12 years of age. Toys of the most popular brands are also available in this store. It manages any toys for the customers. If any toy is not available in stock but the customer demands it, they will get it. 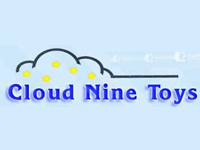 Cloud Nine Toys is one of the best online toy stores in MA. It serves almost all cities in the USA and all over the world also. Mini r/c cars and trucks, the best large stuffed teddy bears from infants to adults, Syma helicopters with camera, LEGO Star Wars Millennium Falcon, Lego Ninjago, Nanoblocks White House, 100 pc Magna-Tiles, Melissa & Doug Wooden Kitchen and Wood Dollhouse are the bestselling toys of this store. Just browse through the store's website and make an order for your desired toys from the large collection offered. Welcome to Henry Bear's Park! The name, Henry Bear’s Park has come from a children’s book by David McPhail, published in March of 1976. The first store of Henry Bear’s Park also started the journey in this month in the Boston area. The founder as well as the owner of this store is Sally Lesser. She earned a great reputation for selling excellent toys with the help of her talented staff. They have a total of 3 stores in MA and all are famous for selling toys, books, and games for all ages. Make a visit to any of them and experience how nice the staff is. The newest toys are waiting for you. Eureka Toys is the most unique toy store in the Newburyport area of Massachusetts. It is a toy store which is committed to finding the best toys for their customers. It offers fun and exciting educational toys, books, and games for kids of all ages. 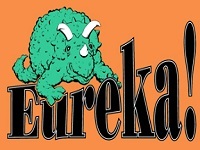 All toys of Eureka Toys are collected from hundreds of companies that encourage creativity, role-playing, spatial development, and dexterity. When you are looking for a great collection of toys, definitely Eureka Toys can be the perfect destination. The Toy Shop of Concord is America's first specialty toy store which was established in 1942. The owner of Concord Toy Shop believes that the value of play is not only how toys are played with, but also how they are made, why we want to sell them, and why they are bought. The employees, manufacturers, and distributors of this company in the U.S. and abroad, all believe in providing high quality products to the customers. Just make a visit to the Toy Shop of Concord and see how many amazing toys are waiting for you. Where learning is always fun! The Village Toy Shop is one of the best toy stores in the North Easton area. It was established on December 1, 1994 in North Easton. Then it was expanded to the Canton location in 2000. The owners of the Village Toy Shop are Ellen and Heidi. The aim of this store is to promote kids' fun with many more exclusive toys. It always tries to provide the latest as well as newest toys to play with, because this company realizes that the kids usually like the newest things to play with. 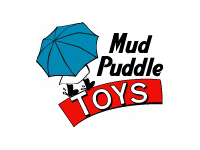 Mud Puddle Toys is the best place to buy toys for kids of all ages. The toy store is a family owned toy store in MA. 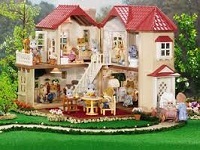 They have a huge collection of toys like puzzles, several kinds of dolls, pretend toys, educational toys and many more. 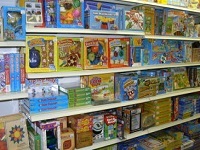 To present someone with a wonderful toy or to buy gift cards or arts and craft the toy store is a great option for all. For more details about the toy store you may check out their webpage. You may also contact them for their price ranges or for any other information. Learning Express is dedicated to provide their customers the best toys. They are in-fact the best educational toy store. They offer the best toys, an expert staff and the best customer service. Light helmets, mini flyers, and rainbow looms are some of their special toy collections. They even have many more toys. If you are looking to buy a wonderful and surprising toy for your kids the toy store is the best one for you. You may also check out their webpage for more details. 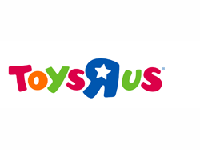 Toys R Us offers a huge collection of wonderful toys. They contain the best toy collection in MA and around the country. To buy unique and amazing toys with a flexible price the toy store is the best. Toys like games, puzzles, dolls and even books for kids are some of their special toys. The store has a huge variety of toys to choose from. For all ages of kids this toy store is a popular one. If you are looking for a wonderful toy store, you may visit the store or check out the webpage of the store. 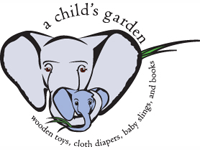 A Child's Garden is one of the best toy stores of MA. The toy store contains a huge collection of toys and carries a good collection of unique and lovable toys. The store stays open Monday to Saturday from 10:00 am to 6:00 pm and on Sunday from 12:00 pm to 5:00 pm. The company is dedicated to providing you the best toys and to bring a happy smile to your child's face. They even provide toys for all ages of children. You may check out their webpage for more details. No Kidding offers the opportunity to buy the best toys. The company has a huge collection of toys like dolls, puzzles, games, stuffed animal brands even educational games and many more. For children that love to play with toys this toy store can be the best choice for them. They even offer a 20% discount on each and every one of their toys on the first Sunday of every month. If you are really interested in buying toys, you may go here to find your favorite toy. You may also check out their webpage to get more info about the toy store. Boing! JP's Toy Shop is one of the best toy stores of MA. The toy store is filled with a huge collection of toys. They stay open Monday to Thursday from 10:00 am to 6:00 pm, Friday 10:00 am to 7:00 pm, Saturday from 10:00 to 6:00 pm and Sunday 10:00 am to 5:00 pm. They have toys for all ages of children. 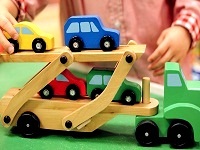 Cars, trains, vehicles, and a huge collection of games are the specialties of this toy store. They even have educational toys, Legos, musical toys and more. To get your kids the best toys, this shop is truly the best. You may check out their webpage for toy prices. 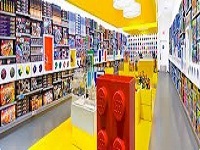 The LEGO Store contains a huge collection of Legos and many other exciting games and toys. 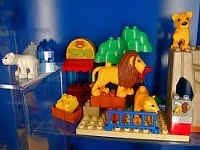 Children that love to play with Legos the store offers them the best Lego games to buy and play with. The store even offers online games for children. 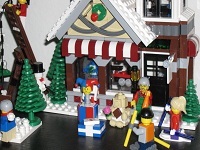 Some of their exciting Lego games are like the family house, town hall, tree house and many more. In-fact Lego super heroes and racing cars are some of their best Lego toys. You may check out their webpage for product prices and to get more information about the store. 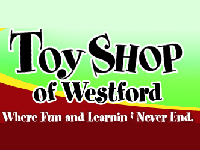 Toy Shop of Westford is one of the biggest and finest toy shops of MA. The shop offers you the opportunity to buy a huge collection of toys including story books, toddler toys, educational games and many more things. Here you will find toys for every age of child. The store stays open Monday to Wednesday from 9:30 am to 5:30 pm, Thursday and Friday from 9:30 am to 8:00 pm, Saturday from 9:30 to 5:30 and Sunday 12:00 to 5:00 pm. You may visit their webpage for more details about the store and their unique mix of toys. The store is truly the best option to buy toys at.